Since 2001, Vegas Display, Inc. has been providing affordable rental exhibit solutions to companies exhibiting at Las Vegas trade shows. Vegas Event Furniture, a divsion of Vegas Display, rents sofas, loveseats, lounge chairs, bars, counters, stools and other furniture and accessories. We also rent conference tables, desks and office chairs. We offer free delivery delivering furniture to all Las Vegas trade shows, conventions, corporate events to every Las Vegas exhibit hall and Las Vegas Strip hotel. You can see all our furniture items on this web site and include dimensions for each item. While our office hours are Mpnday - Friday, you can place your order online 24/7/365. Our customized chechout process will ask you a series of qustions so we can be sure your furniture will be delivered to your trade show booth, meeting room or event location. 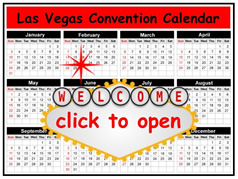 Plus we do not charge Nevada tax and we deliver for FREE to all Las Vegas hotels and exhibit halls. You can be assured if an items arrives damaged or dirty we will return to the show and clean it or replace it at no charge. Vegas Display, Inc. the exclusive distributor of Snap Panel Displays - the lightweight modular slatwall display system. These displays are available for purchase at www.SnapPanelDisplays.com. Thanks, and we look forward to serving you.